Control of the Islamic empire was lost by the Arabic Abbasid Caliphate when the Il-Khan Mongols killed the last caliph in 1258. Initially, while the Mongols ruled Mesopotamia and eastern Anatolia, the Ottomans focused on conquering and securing western Anatolia and Greece. Governance of the Mongol eastern section was inherited by the Mongol Il-Khanate. From 1453 the Ottomans made their capital at former Byzantine Constantinople. A puppet Abbasid caliphate was set up by the Mamelukes in Egypt, so when they were conquered by the Ottomans in 1517, Constantinople inherited the caliphate. Chief of the Kayı tribe, Bozok federation of Oghuz. Died 1236. According to tradition, Suleyman Shah drowns in the River Euphrates. He is laid to rest in a tomb which lies on the river's banks where he remains undisturbed until the twentieth century. According to a treaty signed in 1921 with the administering French authorities, the sit is now part of Turkish territory, giving the Turks the right to station guards and fly their flag there. When the original site is due to be flooded by the creation of the Lake Assad reservoir in 1974, the tomb and its legal enclave are moved some eighty kilometres north. In February 2015, a force of several hundred Turkish troops and armoured vehicles enter northern Syria. They remove the tomb (located about thirty-five kilometres (twenty miles) south of Kobane), and relieve the unit of forty-or-so men guarding it. The tomb complex is destroyed in order to prevent its use by Islamic State. The tomb will be moved to a safer site in Syria, one closer to the border which is under Turkish military control. Son. Chief of the Kayi tribe. Died 1281. Son. 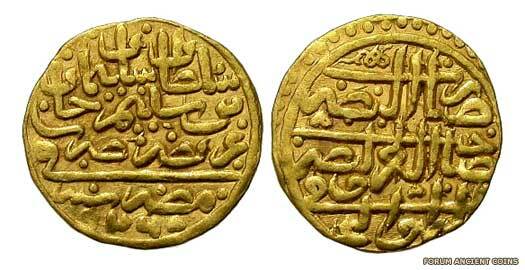 First sultan (ruler) of the empire. Seljuq Rum is overthrown. Bursa [Prusa] is taken from Byzantium in 1326. During the Ottoman siege of Rhodes, Count Amadeus of Savoy adds his forces to those of the defending Knights Hospitaller. This is just the first (and least) of several attacks upon the island and its new masters, all of which are successfully repelled. Iznik (Nicaea) is taken in 1331. Izmid (Nicomedia) is taken in 1337. Both Gelibolu (Kallipolis) and Ankara (Angora) are taken in 1354. Edirne (Adrianople) is taken in 1361. Konya (Iconium) is taken in 1387. Thessalonica is taken in 1387. The Battle of Nicopolis results in defeat for the allied European forces. Amongst the participants is Duke Charles II of Lorraine and Count John the Fearless of Nevers. The Bulgars are conquered and occupied by the Turks. Timur defeats, captures and imprisons Bayezid at the Battle of Ankara, making Anatolia another province of Timurid Persia. In return for his support now and during Timur's invasion of the Caucuses and eastern Anatolia in 1386-1394, Qara Osman is granted Diyar Bakir on the banks of the Tigris (now one of the largest cities in south-eastern Turkey). Conflicting reports state that the Ak Qonyulu conquer it from one of the descendants of the former Ayyubid governor, Saladin. Timur's death in Persia acts as a prompt for the Ottomans to re-invade Greater Armenia and annexe it to their own empire. The Byzantine capital at Constantinople is finally captured by Mehmed, bringing to an end the last vestiges of the Roman empire and making Greece an Ottoman province. The loss is viewed as a disaster for the Christian world, but it also completely realigns the balance of power amongst the Turkic tribes and kingdoms to the east and north. Hajji Giray of the Crimean khanate moves quickly to establish a military alliance with Sultan Mehmed, someone he sees as a potential partner in his wars against the Golden Horde. The first instance of Crimean Tatars and the Ottoman military cooperating occurs only a year later, when Giray Khan sends seven thousand troops to assist in Mehmed's siege of the Genoese colony of Kaffa, which is situated on the southern Crimean coast. Although it is ultimately unsuccessful, the expedition sets a precedent for future Ottoman-Tatar cooperation. Uzun Hassan of the rival White Sheep emirate is responsible for the death of the powerful Black Sheep emir, Jahan Shah. He also captures and executes Abu Sa'id of Transoxiana in 1468. Subsequently, Uzun Hassan is able to capture Baghdad, along with territories around the Persian Gulf. He expands his emirate into Iran as far east as the later Iranian province of Khorasan, replacing the Black Sheep emirs as the main regional power. However, around this time, the Ottomans are also seeking an eastwards expansion. This poses a serious threat to the White Sheep, and Uzun is forced to seek an alliance with the Karamanids of central Anatolia. The important island of Negroponte (Euboea in Greece) is captured. Having requested military aid as early as 1464 from one of the most powerful of the opponents of the Ottoman rulers, Venice, Uzun Hassan of the White Sheep emirate is disappointed to find that the aid fails to arrive when he most needs it. Instead he is defeated by the Ottomans at the Battle of Otlukbeli in 1473. The Ak Qoyunlu survive, however. Ambrogio Contarini is a Venetian diplomat and merchant who, during his travels, records his adventures throughout the east as a form of travelogue. As the envoy of Venice, he has been visiting the royal court at Isfahan in 1474 in pursuit of a military alliance with Uzun Hassan against the mutually hostile Ottomans. The talks are largely fruitless (especially after the events of 1473), so in 1475 Contarini begins a circuitous return that must by necessity avoid the Ottomans. The task is even more difficult because, at the start of 1475, they conquer Caffa and the Crimean khanate. Contarini travels through Derbent in Dagestan and visits Astrakhan to be able to access the Volga and a return to Europe via Moscow state. After the capture of Scutari, and a battle in Friuli, peace is agreed with Venice. A fresh war breaks out against Venice. The Ottomans gain Modone and Lepanto. 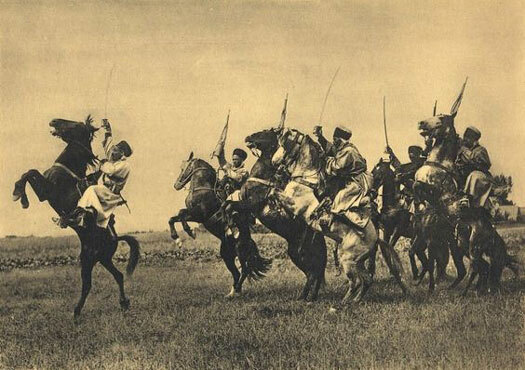 The Şahkulu Rebellion is a widespread pro-Safavid rebellion in southern Anatolia by the Takkalu Qizilbash tribe. Bayezid sends an army to quell it but this is defeated. This and a large-scale incursion into eastern Anatolia by Safavid ghazis under the leadership of Nūr-'AlīḴalīfa results in Sultan Selim I invading Iran two years after his accession (1514). Selim defeats Shah Ismail of Iran at the Battle of Chaldiran in 1514, despite the Safavid ruler having a more mobile, better prepared army. In the end he cannot match the modern equipment carried by the Ottomans - musketry and canon especially. Fortunately for Iran, the Ottomans suffer a mutiny amongst the troops in their army and have to withdraw after briefly occupying the Safavid capital at Tabriz. Hungary is conquered following defeat at the Battle of Mohács, and the principality of Transylvania eventually becomes a vassal, although Ottoman troops do not occupy it. Another war is fought against Venice, with more territory in Morea (the Greek Peloponnesus) being gained. Moldavia is conquered by the Ottomans. A combination of Spanish encroachment along the coast and the intervention of the Ottoman empire, with the latter ostensibly taking up the Muslim cause against Christian aggression, causes Algiers to be subsumed within the Ottoman empire, being governed as an autonomous province from the Barbary Corsair capital there. The beylerbey of Damascus, Lala Kara Mustafa Pasha, commands the Ottoman land forces during the (Great) Siege of Malta. The island's defenders are the Knights Hospitaller, together with up to 5,000 Maltese troops. The siege is one of the bloodiest on record, and the island loses about a third of its manpower, in knights and civilians. But the Ottomans are defeated with very heavy losses of their own, and they never again threaten Malta. The defeat also denies them control of the western Mediterranean and the chance to strike deeper at southern European states. Venice, the Pope and Spain all ally to defeat the Turks at the naval Battle of Lepanto in 1571 after Selim begins besieging Cyprus. The island is still captured by the Turks in 1573. Selim II conquers Tunis and topples the ruling Hafsids. A few last Hafsids claim power but hold virtually none before the Ottomans take complete control of Tunisia. The reign of Shah Mohammad Khodabanda of Iran is weak and relatively ineffective. Factionalism takes place amid the various tribes and infighting is the result, with the country suffering from periods of civil war. With two separate de facto heads of state having been murdered in succession, and the country remaining chaotic, the early Safavid capital of Tabriz is captured by the Ottomans in 1585 as part of the Ottoman-Safavid War (1578-1590). The Ottoman-Safavid War (1603-1618) is the result of Shah Abbas rebuilding Iran and ending the chaos of his father's reign. Abbas reverses the losses suffered during the previous war and increases Iran's territories even beyond their traditional borders at Dagestan in the north, with the Ottomans being roundly defeated and out-manoeuvred by the shah. After recapturing the Caucuses, in 1615 Abbas deposes the king of Kartli for attempting to make the most of the chaos of war to try and unify Georgia. The principality of Wallachia is conquered by the Ottomans. 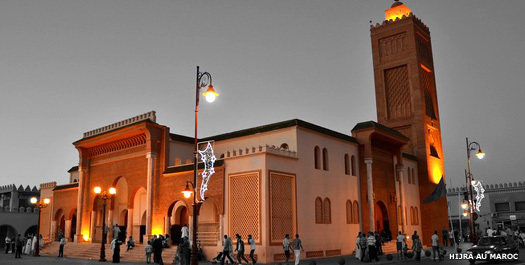 Marrakech and Fez are brought back under the control of the Saadi sultans of Morocco, but many other territories remain outside their control, especially in the south. Even the Ottomans - long rejected by the Saadi as their overlords - have taken a slice in the form of Oujda, while various outlying tribes and warlords refuse to obey the Saadi. The Ottoman empire is still the most powerful state in the region both in wealth and military capability. 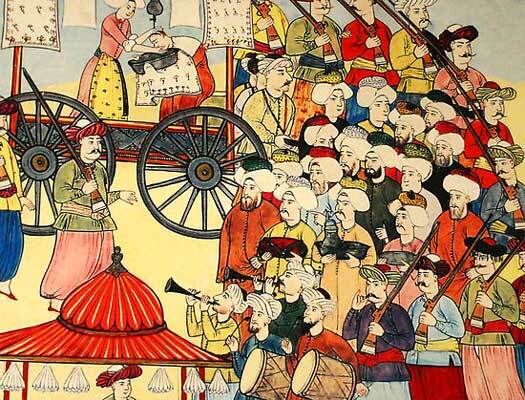 The personal style of government, however, cultivated among the earlier sultans has vanished. In place of sultanic government, the bureaucracy pretty much runs the show, and cracks begin to appear in the empire's unity during this century. The Ottomans besiege Candia (Heraklion). Venice loses Crete, the last island in its old sea empire. The former chamberlain and then chief of the treasury, Sofu Mehmed Pasha is dismissed during the reign of Sultan Ibrahim. He briefly manages to become governor of Damascus before being forced by the janissary leaders to become grand vizier during a period of disturbance. Ibrahim is dethroned five days later and killed ten days after that, and Sofu is suspected of being present at his execution. Less than a year after gaining the post, he is replaced and exiled. Kara Murad Pasha, commander of the janissary, has him executed in August 1649. Poland-Lithuania is dragged into the Russo-Polish War over the control of Ukraine, in the Polish Commonwealth's far eastern territories. Russian troops seize the most important centres of the Lithuanian grand duchy - Smolensk, Vitebsk, Mogilev, and Minsk - and for the first time in Lithuanian history Vilnius is occupied, followed shortly afterwards by Kaunas and Grodno. The commonwealth's king is exiled between September and November in 1655. The turning point in relations between the Ottomans and Russia comes at the same time, upon the union of the Dnieper Cossacks with Russia. 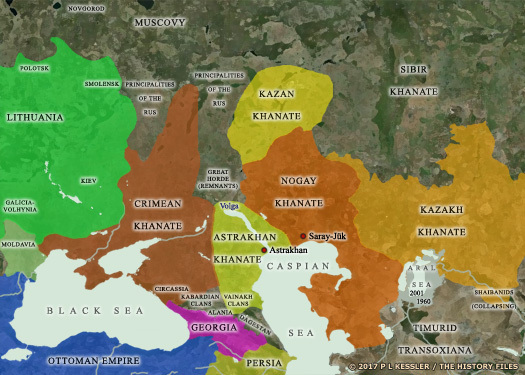 This presents the Crimean khanate and the Ottoman empire with a formidable challenge to their influence and claims of suzerainty over the Ukrainian steppe. The Fourth Austro-Turkish War ends in the Battle of Saint Gotthard on 1 August 1664 in which the Ottomans are defeated by Austrian troops under Raimondo Montecuccoli (with a company of 140 men being led by Count Herman Adolph of Lippe-Detmold). The Turks are forced to agree to the Peace of Vasvár with Austria. The Polish region of Podolia is occupied, and Ottoman governors are appointed to control it, although the life expectancy of each holder of the post is relatively short. John III of Poland and Charles V of Lorraine lift the siege of the Austrian capital of Vienna on 12 September, ending Ottoman expansion in Europe by drawing a metaphorical line in the sand. Venice re-conquers the Morea (the Greek Peloponnesus). The Shihabi amirs of Lebanon become semi-independent. The Treaty of Karlowitz is signed on 26 January 1699 at Sremski Karlovci (now in Serbia). This brings to a conclusion the Austro-Ottoman War of 1683-1697 which had witnessed the defeat of the Ottomans at the Battle of Zenta. The Ottoman advance in Europe is stopped in its tracks, and is even partially reversed for the first time. This allows Austria to rise as a dominant player in European politics. Khan Salim of the Tartars resigns his position following the treaty's signing while Austria takes permanent control of Transylvania. A period of in-fighting is triggered between various factions of the Ottoman military forces in Tunis. The Husainid dynasty is born there when Husain, son of Ottoman Janissary 'Ali at-Turk and a North African mother, wins the battle and seizes control. Two years later Husain is recognised as the Ottoman viceroy of Ifriqiya, but his troublesome ways soon require neighbouring Algiers to become involved in his removal (and not for the first time during this period). Morea is finally and definitively conquered from Venice. 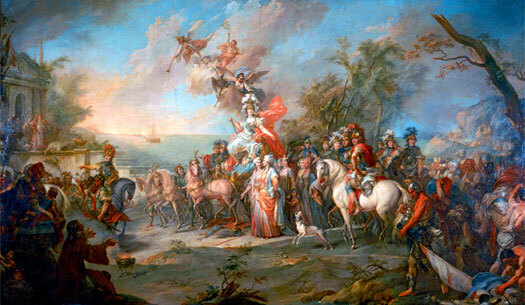 Sensing the weakness of the Safavid empire, Czar Peter the Great of Russia launches the Russo-Persian War of 1722-1723. Otherwise known as the 'Persian Expedition of Peter the Great, the war is designed to increase Russian influence in the Caucuses and prevent the Ottoman empire from increasing its own regional authority. Astrabad, Baku, Derbent, Gilan, Mazandaran, and Shirvan are all successfully won (only to be subsequently leased back to Persia between 1732-1735 now that the two states are allies against the Ottomans). An attempted invasion of Afghanistan which is held by the weakening Hotaki dynasty of Afghans is repulsed. The emerging power of Muhammad ibn Saud joins up with a religious leader named Muhammad ibn Abd-al-Wahhab in Nejd in central Arabia. Together they forge a small Saudi state based around Riyadh. It pushes outwards from there. The Mameluke Beys seize power in Egypt and thereafter their successors remain de facto rulers of the country. In the same year, the First Russo-Turkish War is triggered as part of Catherine the Great's move to secure the conquest of territory on Russia's southern borders. Following the repression of revolts in Poland-Lithuania, Russia becomes involved in chasing rebels across the southern border into Ottoman territory. The Ottomans imprison captured Russian forces, effectively declaring war. Despite being slow to mobilise, in 1774 Russia wins Kabardia (in the North Caucuses), part of the Yedisan between the Bug and Dnieper (now covering south-western Ukraine and south-eastern Moldova (southern Transnistria), and the Crimea. Georgia also joins the Russian empire as a client kingdom while the khanate of Crimea is granted nominal independence. Russia takes the principalities of Moldavia and Wallachia from the Ottomans in battle and occupy the region. Upon the advance into Russia of the French Emperor Napoleon Bonaparte, they sign a quick treaty and evacuate their troops northwards. The Greek War of Independence begins against rule by the Ottoman empire. War is declared in 1821 and revolts quickly spring up in Central Greece, Crete, and Macedonia. A makeshift Greek navy prevents Ottoman reinforcements from being landed in the country. Muhammed Ali brings Egyptian forces into the conflict in 1825 and much of the revolt is put down. However, the Egyptian fleet is sunk at the Battle of Navarino in 1827 by a fleet consisting of Russians, French and British. The Treaty of London is signed, in which Britain, France and Russia support Greek independence, and following the freeing of Central Greece in 1828, the beginnings of an independent state are created. The Russo-Turkish War, triggered by the fighting in Greece and the Danubian principalities of Moldavia and Wallachia, ends in the Peace of Adrianople. Sultan Mahmud closes the Dardanelles to Russian vessels but the Russians lay siege to three major Ottoman cities in Bulgaria. In the end, despite an embarrassing defeat along the way, Russia wins the mouth of the Danube and much of the Black Sea's western coast under the terms of the peace, or Treaty of Adrianople. Serbia also achieves autonomy while the London Conference in 1830 recognises Greek independence. In 1832 a monarchy is installed there under Otto of the Bavarian Wittelsbachs. France invades Algiers and conquers it in progressive stages. The dey of Algiers surrenders and is exiled after just three weeks of fighting and, following early French military command, governors administer the country for the French state. The bey of Constantine (capital of north-western Algeria) becomes France's greatest opposition in the region, with a well-organised resistance to invasion that survives until 1837. Direct rule of Lebanon is reacquired. Under the pretext of avenging a Tunisian incursion into Algeria, France establishes Tunisia as a protectorate under the terms of the Treaty of Bardo (otherwise known as the Treaty of Qsar es-S'id or the Treaty of Ksar Said). This effectively severs any formal links that may remain with the Ottoman empire, and places Tunisia's external affairs and military protection in French hands. The attempted extermination of the Armenians within the Ottoman empire is put into action under Sultan Abd al-Hamid II. It is sporadically resumed, notably from 24 April 1915, and the after-effects continue to rumble on into the present. Eleutherios Venizelos, the Greek 'lion of Crete', wins the independence of his island from Turkey. Ottoman Libya is invaded by Italy, which establishes a protectorate in 1912. Albania, one of Europe's poorest states, became unexpectedly independent after the Albanian Uprising of 1912 and the First Balkan War (1912-1913). In November 1913, Albanian pro-Ottoman forces offer the Albanian throne to the Ottoman war minister, Izzet Pasha, a man who is himself of Albanian origin. The Ottoman empire sends agents into the country to encourage a revolt, while Izzet Pasha sends Major Beqir Grebenali, another ethnic Albanian, to act as one of his chief representatives in Albania. The provisional government captures the major, and executes him, angering the Great Powers in the process. Britain and the Ottoman government sign a treaty recognising the independence of Bahrain. Cyprus is also lost to the British. Bahrain remains under British protection and is rapidly developing itself into a thoroughly modern state. It is quickly becoming a business centre for the gulf and India. Iran claims sovereignty over Bahrain through its previous links to the Islamic empire. Turkey moves to join its allies, Germany and Austria-Hungary, by declaring war against Britain, France, and Russia on 31 October. Its first moves in support of that declaration are slow to occur, but Turkish troops eventually open their main front in the Caucuses against Russia. From 24 April 1915 the Ottomans seemingly resume their persecution of Armenians within the empire by accusing them of aiding the Russian invaders. Over 600,000 Armenians are killed by Turkish soldiers or die of starvation during their forced deportation to Ottoman-controlled Syria and Iraq. The Armenians rise in revolt at Lake Van (the traditional location at which the Armenian state had been founded), which they hold until relieved by Russian troops. The British-backed Arab Revolt is proclaimed with an attack on Medina (where the Prophet Mohammed had died in AD 632). The revolt liberates much of the Middle East from Ottoman control, but the two sides also battle each other inside Persia's borders, leading to a movement against the weak shah. At the end of the conflict, Britain and the Hashemite Arabs take control of Iraq and Kuwait, Palestine, and the Transjordan, and France controls Lebanon and Syria. British forces also occupy Azerbaijan's capital of Baku in support of the Armenians, helping to defend it during the Battle of Baku in 1918. However, Baku falls to an Azeri-Ottoman army on 15 September 1918, forcing British and Armenian forces and much of the city's Armenian population to flee. On 30 October 1918, Turkey signs an armistice at Mudros, on the Aegean island of Lemnos. British forces are briefly restored to Baku until it falls to a Soviet invasion. Deposed and exiled as head of the House of Osman. On 10 August 1920 Britain, France and other powers officially dismember the Ottoman empire with the signing of the Treaty of Sevres and occupy Constantinople and Izmir. Greece attempts to seize a large section of western Anatolia but Turkish troops capture Smyrna on 10 September 1922, massacring the Greek population and ending the Greek-Turkish War. After having colonised western Turkey some three thousand years before, at the end of the Mycenaean period, all Greeks are now expelled from Turkey, many of them having been Turkish in all but name for generations and not being able to speak Greek at all. Caliph only. Expelled from Turkey. Not recognised until 1926. The Ottoman empire collapses and on 29 October 1923 a republic of Turkey is declared. On 1 November the newly founded parliament formally dissolves the sultanate. On 1 March 1924, the caliphate is formally abolished by the Turkish Grand National Assembly. Two days later the title is claimed by the Hashemite king of Hijaz, Husayn, who is the last to do so before it is revived by the Islamic State in 2014. Turkey is bordered to the east by Georgia, Armenia, and Iran, to the south by Iraq, Syria (and also Islamic State in 2014), and Cyprus, by Greece and Bulgaria to the west, and across the Black Sea to the north by Ukraine and Russia. The capital of modern Turkey is Ankara, a city which had been founded by the ancient Phrygians and then occupied and settled by invading Celts after they formed the kingdom of Galatia in the third century BC. The Ottoman Turks who invaded Anatolia in the thirteenth and fourteenth centuries AD inherited a rich vein of history and culture. It dated far back in time to the ancestors of the Neolithic farmers who branched out into Old Europe to found the Sesklo culture and their relatives who remained behind to found city states such as that of Hattusa. The latter cities were conquered by the Hittites who themselves eventually gave way to many indigenous or Greek-related states in the first millennium BC. Anatolia then formed part of the Persian, Greek, and Roman empires, with the Byzantine empire inheriting the latter's eastern possessions until the arrival of the Turks. Modern Turkey began on 29 October 1923 when the republic was declared out of the ruins of the Ottoman empire and the failure of the country's First World War efforts. However, the first steps towards republic had been taken after the armistice was signed in 1918. A former lieutenant colonel in the army, Mustafa Kemal Atatürk (1881-1938), convened the Erzurum Congress between 23 July to 7 August 1919 and the subsequent Sivas Congress on 4-11 September 1919, which laid out the path to freeing the country from Allied control. War followed, with Turkey finally re-establishing itself as a fully independent state on 24 July 1923 after the signing of the Treaty of Lausanne. The declaration of a republic soon followed, with Atatürk being unanimously elected the first president. The Ottoman rulers of the House of Osman were expelled from Turkey in 1924 and refused re-admittance. Their property was confiscated. It wasn't until after the 1950s that they were granted re-entry, and in the 1990s, the right of citizenship followed. Successive heirs and claimants to the Ottoman throne are shown with a shaded background. Moved to San Remo where he died 16 May. Former Caliph. Recognised on Mehmed's death. Died 23 Aug.
Constantinople is renamed Istanbul as part of Kemal Atatürk's campaign to create a secular Turkey. Grandson of Murad V. Died 4 Jun. After previously agreeing with Nazi Germany to remain neutral, Turkey enters the Second World War on the Allied side against Germany on 23 February, but takes little active participation in the war's closing days. Turkey becomes a member of Nato during its transition from political association to integrated military structure, a necessity made apparent by the perceived increase in threat level from Communist states during the Korean War. Brother of Ahmed IV. Died in Nice on 22 May. There is a military coup in Turkey. The prime minister and two ministers are hanged, the constitution is replaced, and parliament is suspended. The leaders of the revolt then appoint a popular figure in Turkey, General Cemal Gürsel, to take command. Despite multiple coup attempts against him, as well as an assassination attempt, Gürsel restores civilian control in October 1961. There is another military coup in Turkey which leads to the fall of the government and the establishment of several interim governments. Known as the 'coup by memorandum', it is this piece of paper that delivers the coup rather than tanks on the streets. Brother of Osman IV. Born 1901. Died 19 Jan. The Greek military government attempts to invade Cyprus and put it under direct Greek control. In response, Turkish airborne troops seize the north-eastern third of the country. Son of Ahmed IV. Born 14 Oct 1903. Died 9 Dec.
With right-wingers fighting communists on the streets, Turkey undergoes a third military coup and the National Security Council dissolves parliament. The coup's leader, General Kenan Evren, assumes the post of president and stabilises the country before returning it to civilian hands, although he remains in his post as president. Uncle to Ali. Born 27 Mar 1914. Died 12 Mar. Brother. Born 18 Aug 1912. On 28 February there is a 'post-modern' military coup in Turkey, labelled as such because the military does not follow the usual unconstitutional actions of dissolving parliament or withdrawing the constitution. The government resigns as the result of pressure to do so. On 7 September a massive earthquake, registering 6.0, strikes in Greece from a previously unknown geological fault at a point approximately seventeen kilometres north of Athens. It causes widespread structural damage and kills 143 people. Taking place less than a month after a similar earthquake in Turkey, the Turks supply aid and rescue teams, which contributes significantly to a thaw in relations between the two countries. Having consolidated its territory in 2014 and established a reputation for medieval brutality, the self-proclaimed Islamic State suffers its first substantial setbacks. Western and Arab forces unite to provide Allied air cover for Iraqi and Kurdish resistance. The town of Kobane on the Turkish border is successfully defended by the Kurds with allied air support (although Turkish tanks sit inactive on the hillside above the town, apparently with orders not to support the Kurds who are otherwise seen as a threat to its own security). The controversy continues surrounding Turkey's role in the killing of ethnic Armenians during 1915. The German parliament approves a resolution declaring that the mass killing of Armenians by Ottoman Turks during the First World War is classed as genocide. Turkey bitterly opposes the Bundestag (lower house) resolution, and warns that it could hurt ties. The timing is awkward, as the European Union needs Turkey to help stem the migrant influx from Syria. On 15-16 July 2016, an attempted coup takes place, apparently led by the secularist opponents of President Recep Tayyip Erdogan who is seen by many as shifting the country towards an increasingly pro-Muslim bias. A faction within the armed forces places tanks on the streets of Ankara and Istanbul with aerial support. Limited fighting takes place as the president whips up popular opposition amongst his supporters. At least ninety people are killed and more than a thousand are wounded. Some 1,563 soldiers are arrested as the coup fails. The pro-Islamist stance is greatly strengthened during the post-coup purge of secularist opponents. In 2017, Erdogan is able to shift the country further towards would-be dictatorship by replacing the parliamentary system with an executive presidency which could see him retain power until 2029.